All seats can be heated by installing a special pad, which is exclusively produced for motorcycle seats, and has the right shape to be invisible under the seat cover. Heating pads can be installed separately on each riding position (driver & pillion passenger), so you may choose to install it on both positions or just one of them. 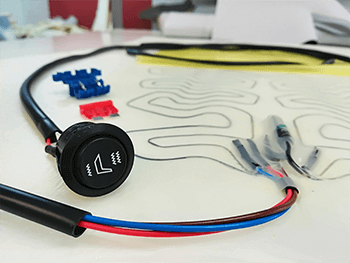 We deliver the seat to you with the pad/pads installed, and with the wires and the slots, ready to be connected with the two- mode switch, which is also part of the kit. 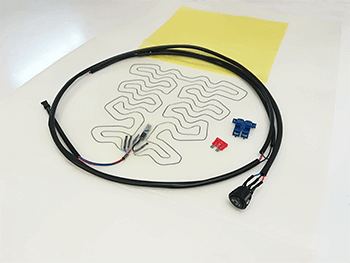 It is important that the pad/pads are connected to the motorcycle electricity system, not to the battery. We are not undertaking the electricity connection procedure, and we suggest that the installation is made by a motorcycle electrician of your choice.